One of the most useful techniques for tightening flabby prose is to concentrate more information into fewer words. This can be done with parenthesis and subordination. The result is that two or more sentences are combined into a single statement. Let’s try that again: One of the most useful techniques for tightening flabby prose is to concentrate more information, through parenthesis and subordination, into fewer words, with the result that two or more sentences are combined into a single statement. The outcome is a more complex construction — and one that is not necessarily much more concise — but one that is still digestible and creates a richer reading experience by collecting flat, simplified, isolated components of thought into an integrated whole. Not every multisentence passage merits combination, of course (and I admit that I favor longer sentences than some might find suitable), but vigilant effort to reduce verbiage has merit. The solution here is nearly identical to that in the first example, differing only in form; omit the first of the two repetitions of the verb were and delete the second sentence’s subject, but leave the form of stunned intact: “Christian leaders used to spending a lot of time worrying about the faith of the unchurched were stunned to learn that the kids who showed up every week in the pews — the churched — didn’t know much more than those who didn’t. As I demonstrated in my introduction to this post, three sentences, not just two, can be reconstructed into one; in this case, convert all but the subject of the first sentence into a parenthetical for the second one, replace that sentence’s subject with the preceding one’s, and attach the third sentence to the second sentence as a subordinate clause: “The series, which has featured writings by a variety of French thinkers, culminated in the publication of a two-part meditation by Jean d’Ormesson, a well-known literary figure and member of the academy.” Voilà! The subtle dance with the sentences is always intriguing and confounding at the same time. Getting the right words together and arranging them can mean the difference between getting published and languishing in obscurity. Guess which one is happening to me? Looks like it is time to go back to the sentence grind house. Thanks for sharing! Thank you, a smart and needed post. I agree. There are a lot of strong trends and biases going today when it comes to the writing craft. 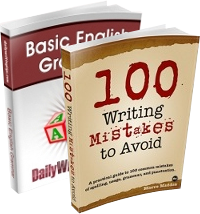 For example: “Be concise, make every word count, no empty words like “very” or “really” or “it seems to me,” etc.” But if the writer strips sentences down to an almost mechanical terseness, they can easily become hard to read too, not to mention lose their warmth and conversational quality. Another example, what I call “the minimalist sentence”: “Major in constant short sentences, peppered with frequent sentence fragments.” Is it always a good idea to accommodate the contemporary reader’s all-too-often short attention span? How about encouraging thoughtful comprehension? A Suggestion for you: sometime look into the work if the late, brilliant Dr. Frances Christensen in his Notes Toward A New Rhetoric, Six Essays for Teachers (University of Southern California). 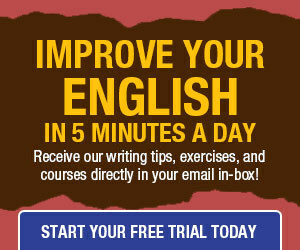 You could also check out the Great Courses lecture series (The Teaching Company) on “Building Great Sentences” by the award-winning professor of English and literature Dr. Brooks Landon (University of Iowa)–both on the cumulative sentence, which I feel is the grammatical/syntactical genius of modern English. I have the same question as Bill Polm. What if we’re writing for a “newspaper audience” and are supposed to keep the comprehension level to 6-8th grade? It’s the dilemma of short choppy writing (keeping the attention span of our audience) vs. appealing sentences that flow and create interest. My editor and I go back and forth on this. I know this wasn’t exactly the topic, but I frequently run across sentences in my editing that are far longer than necessary. That’s a 2/3 reduction in word count without losing any meaning. Although, I admit I am not 100% certain about the usage of the hyphen in that sentance. is distracted swiping through their smartphone. I think this is nonsense and it’s about time those of us who are writers first, bloggers second and copywriters third rose up against the tyranny scannable content and started writing more like Joseph Conrad or William Falkner or Evelyn Waugh. Not deliberately dense and obscure but using language as palette in which paint in our own style….. maybe 8pt cursive font to put off the part-timers! Seriously though: intelligent refreshing piece.